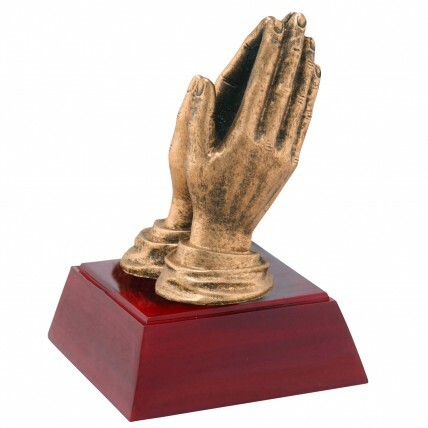 Celebrate religious accomplishments with this Resin Praying Hands Trophy. It features a pair of gold praying hands on an elegant rosewood colored base. Gold lettering on a black brass plate make it an ideal perfect award for all religious acknowledgment.